The speed of the golf swing, and distance by the golf ball is pretty much linked to club head speed, or in short CHS. To start with, are there things that you should avoid? Yes, there are certain things to avoid preferably. One of them is hitting balls on the range. As a matter of fact, each swing you do with a ball with your current CHS is just thickening the myelin for slow speed. Also, practice swings are a waste for speed training, so get rid of them as well. Practice swings offer NO resistance and hitting balls offer limited resistance. You may practise your new swing, but do it at a very slow pace (which is another story). We need to find a way to train for speed and power that takes advantage of the way the body works. One of the proven principles is called “Specific Adaptation to Increased Demand” or in short SAID. In other words, the body adapts to more work when you ask the body to do it. Lift a 5 kg weight with a bicep curl exercise, do it consistently, and your body will adapt. Then, when you go to a 10 kg weight, you will be sore at first, but after a few workouts the adaptation will be made. You will not be sore anymore. Keep in mind that the Adaptation is Specific, the 10 kg curl will not improve your golf’s CHS. It will give you a larger adapted bicep. 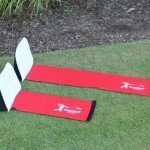 The mistake most training aids make is that the resistance is not applied properly to the golf swing. For example, swinging a heavy club actually starts to pull on you on the downswing and you actually put on the brakes instead of the accelerators. There are various training devices on the market. An impact bag is ok, but it however does not allow you to finish the complete swing. Use the Speedball, and the Power Module and you can hit through and complete the motion. It is safe on the body, and it completely changes the paradigm of your swing!! You don’t hit at a ball…you have to swing thru a strong and safe resistance. Once you have the feel of this, you start to swing differently, your body ADAPTS and you increase your speed to overcome the resistance. The other interesting phenomenon is unlimited speed. You can swing as FAST AS YOU CAN. You cannot really miss that target show on the pictures. Your body then ADAPTS to the increase in speed and amazingly is able to hone that speed in on a smaller target like the ball. So, the Speedball and the Power Module are ‘no brainers’ to quickly increase your CHS. Students show improvements in less than 30 minutes, and other slow adapters take a few weeks. In principle this is done with your current “normal swing”. 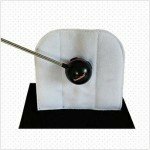 You can easily work on another swing with the speedball. That is because you are not impaired by the golf ball in front of you. Anyway this is work for another blog. The golf swing is exactly the same. SAID lights up the body/muscles/brain system, and lets you feel and experience what it takes to deliver the speed with the club. With our newly acquired higher speed, we have to bring it to the golf course, and let the golf club do the talking. This is done by applying tour tempo in the swing. Can we increase speed even further? Yes you can by increasing the tempo of your swing. Do not worry about hitting the ball yes or no out the middle of the clubface for the time being. Is higher tempo also higher clubhead speed? If you would like to increase distance, and you have a slow swing, what happens? 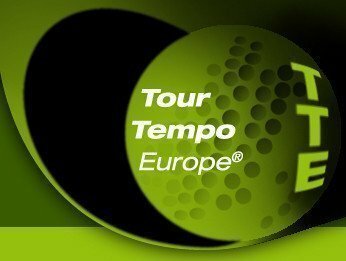 Given comparable contact, would swinging at a tour tempo of 24/8 or 21/7 increase distance? Intuitively, it seems like it would. Now 6 times out of 10 if you go from 27/9 to 24/8, you will increase speed. Nine times out of 10 if you go from 27/9 to 21/7, you will increase speed, and thus distance. To get that distance, you need a solid impact, however, speed is always the first goal. You can learn to hit it solid with the faster tempo. The key here is that you have to match that downswing number. If you go with a 21/9 tempo, you might not get the speed. Luckily for you, 27/9 (and slower) swingers get the most/easiest/fastest bump in speed by going faster. If you’re already 24/8 or 21/7, you don’t necessarily get more speed by swinging at a faster tempo. So, 27/9 seems to be a threshold mark. Also interesting is that going to 18/6 doesn’t necessarily help anyone as it’s so fast that most of us can’t get all the muscles fired in time to develop that speed. Then use a Launch Monitor, and if you do see a bump in chs, you find the confidence that you manage the speed part. You now need to get comfortable with that tempo and new speed and you will start hitting the ball out of the centre of the clubface.